Mr Hodges is a qualified Certified Practicing Accountant with 20 years experience in both the accounting profession and in industry. Mr Hodges’ industry experience includes three years in mining and eleven years in oil and gas during which he spent five years with BP Plc before joining Zeta Petroleum plc as Financial Controller. Mr Hodges has served as Company Secretary of Zeta since 2009 and in addition now has taken up the position of CFO. 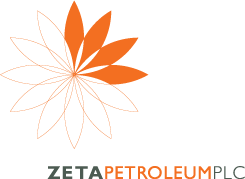 Prior to joining Zeta as CFO Mr Hodges was CFO of Atlantic Coal, an AIM listed coal mining company and also provided Financial Consultancy and Company Secretarial services to publically listed companies, predominantly within the mining and oil and gas industries.